The fame of Carlsbad is based on the healing power of local hot springs and the history of the town derives from it. A romantic legend about the foundation of Carlsbad tells about the Roman emperor and Bohemian king Charles IV and about his passion for hunting. Once upon a time Charles IV set out on a hunting trip from the nearby Loket castle. His hunting company did rather badly all day long. They met a stout stag only on the return way. Charles IV and his hunters began to pursue the stag. The stag ran throughout a deep forest all the way as far as the spot, where hot springs arise. The stag jumped from a high rock. Hunting dogs jumped from the rock as well, following the stag. Charles IV and his hunters only heard painful howling. When the hunting company saw the dogs, some of them swam in the water from which steam went up. Other dogs licked their injuries. Educated emperor Charles IV, who has already known about some springs in Northern Italy, dipped his injured leg into the spring and his leg was healed. The wise emperor understood that the water had healing power and he ordered a town to be built on this spot. The town bears the name of Charles IV till the present days. As for the legend, the only true fact is that Charles IV was the founder of the town. Actually we do not know the right date of the foundation of the town. In bygone days the municipal councillors often disputed about the right date. We know, that Charles IV gave the town the city rights and raised it to a royal town. The town began to develop soon. The town history itself is a history of disasters, which alternated with periods of development. Due to almost repeated fires and floods, for example in 1890, which amost destroyed the whole town, only minimum sightseeings remained from the time of the foundation of the town in its centre nowadays. At present 55 0000 inhabitants live in the city. The present apperance of Carlsbad has been influenced by the architecture of the end of the 19th century and the beginning of the 20th century. It is influenced by the mastery of the architects Helmer and Fellner or by Josef Zítek, the architect of the National Theatre in Prague. 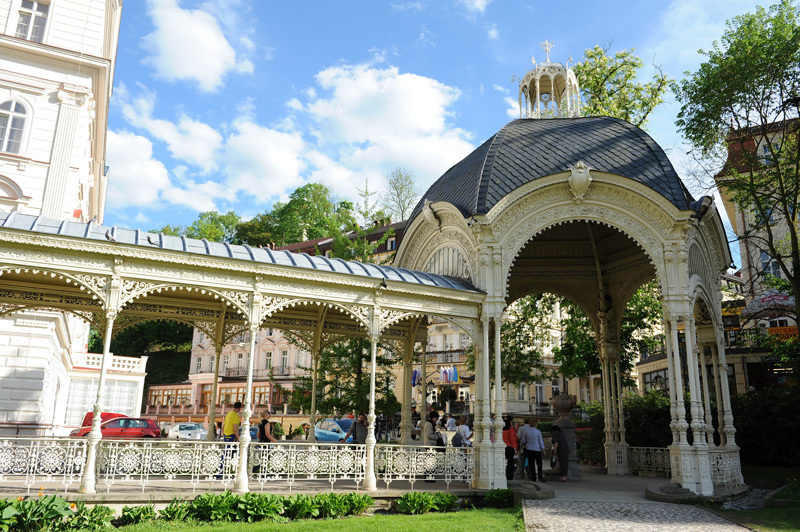 At the turn of the 19th and 20th centuries Karlovy Vary went through the most famous period called BELLE EPOQUE. 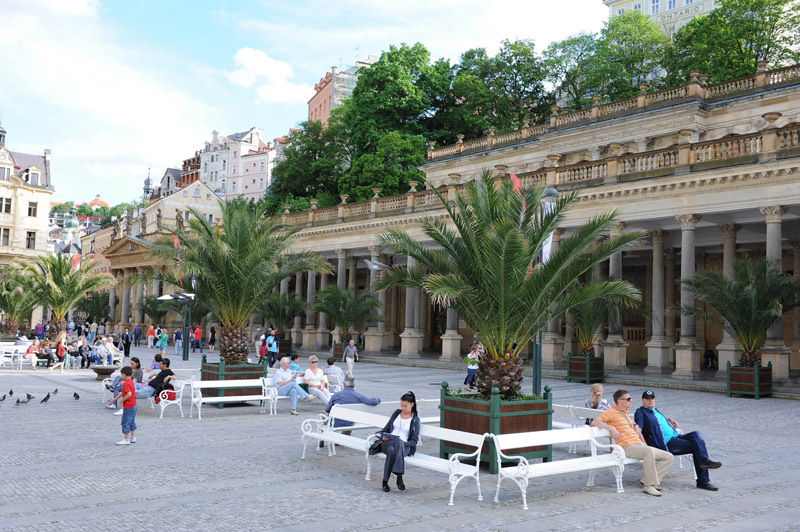 At the turn of the 20th and 21st centuries Karlovy Vary regained its world-famous name. Classical spa treatment is extended with modern medical knowledge. Many hotels and spa facilities are adapted to the demands of the modern person. The historic building of the theatre was built by the Vienna architects Helmer and Fellner in Carlsbad at the end of 19th century. The interior of the theatre was decorated by the well-known Art Nouveau painter Gustav Klimt. The present Municipal theatre in Carlsbad offers a wide choice of performances, operettas, as well as ballet. The big hall of the theatre is used as a concert hall of the local symphony orchestra. An alternative stage of the Municipal theatre, the Husovka Theatre, offers chamber and untraditional performances, as well as club music. The Karlovy Vary symphony orchestra with its long tradition organizes not only regular concerts, but also summer colonnade’s concerts. There are 5 art galleries in Carlsbad. The Museum of Carlsbad city and the Museum the Golden Key regularly organize lectures about the history of Carlsbad. Its expositions are open for its guests all year round. Apart from culture, Carlsbad offers also sport possibilities. 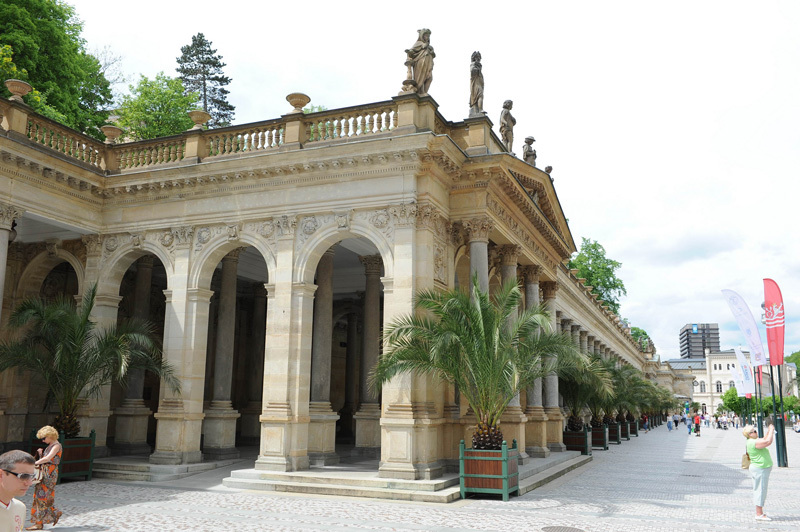 Karlovy Vary boasts of 2 golf courses and several tennis courts. Spa guests can play skittles, bowling, billiards, ricochet, squash, minigolf or ride a horse. 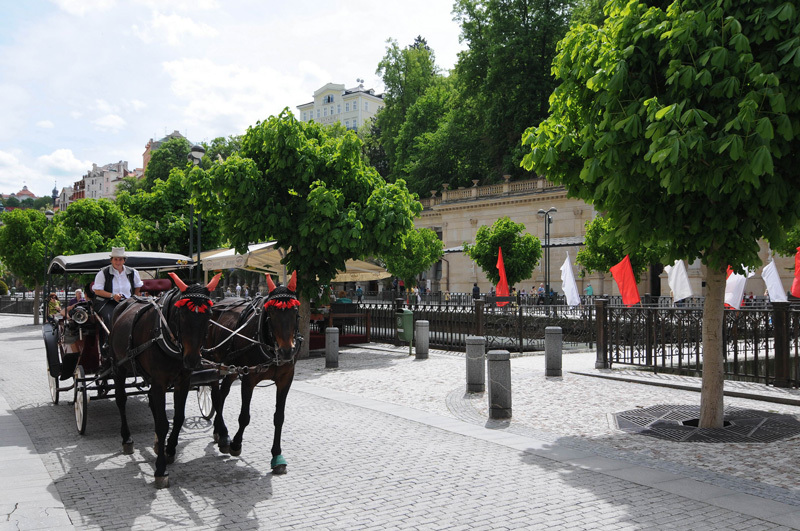 Karlovy Vary became famous for its traditional products. The tradition of the glass production was established by Ludwig Moser in Carlsbad. The glass factory MOSER has been producing luxury drinking and decorative glass of classics, as well as modern forms for more than 150 years. Carlsbad is well known not only due to its glass production but also thanks to the production of porcelain. The first porcelain factory was established in the Karlovy Vary region in 1792 in the town of Horní Slavkov. The pharmacist Josef Becher began to produce the „13th spring” in 1807. He sold it as stomach drops, only later he began to sell it as a stomach liqueur. BECHEROVKA, called “Carlsbad Englich Bitters” in the English speaking countries, is produced according to a secret receipt from a mixture of about 20 sorts of herbs and spices, which come from exotic countries as well as from the surroundings of Carlsbad.